Today our deal hunters brought something really special, an upscale hotel in the heart of one of the most romantic cities in the world. 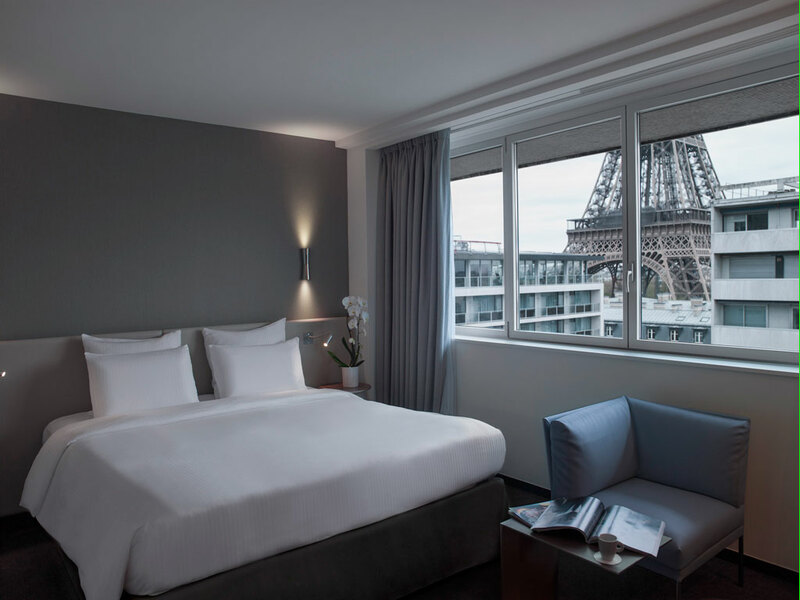 The Hotel Pullman Paris Eiffel Tower is on sale now and can be booked from $256 a night, which is 20% less than average rates. 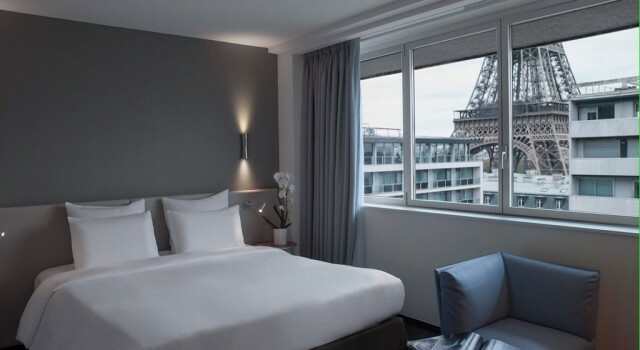 This small, recently renovated hotel is just a short walk away from the iconic Eiffel Tower, on the Avenue de Suffren, on the left bank of the Seine river. Many of the attractions of central Paris are also nearby. 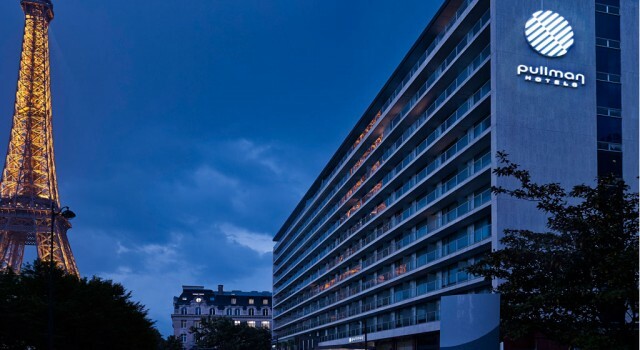 Hotel Pullman Paris Eiffel Tower is a modern 4 star hotel with only 23 comfortable and chic guest rooms and suites, many of which offer spectacular view over the Tower and Trocadero. The accommodations feature king or queen beds, Wireless Internet access, 40 inch flat screen TV, mini bar, arm chair, radio alarm clock and more. Bathrooms have bathtubs and C. O. Bigelow bath products. 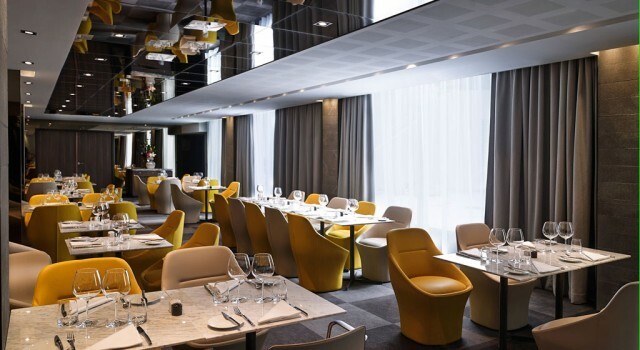 Frame is the chic on site restaurant of the hotel that serves international favorites and has floor to ceiling windows, an open kitchen and pleasant terrace. At Hotel Pullman Paris even the fitness room comes with stunning views. Work out at the hotel with modern cardio equipment and watch Paris in the meantime. 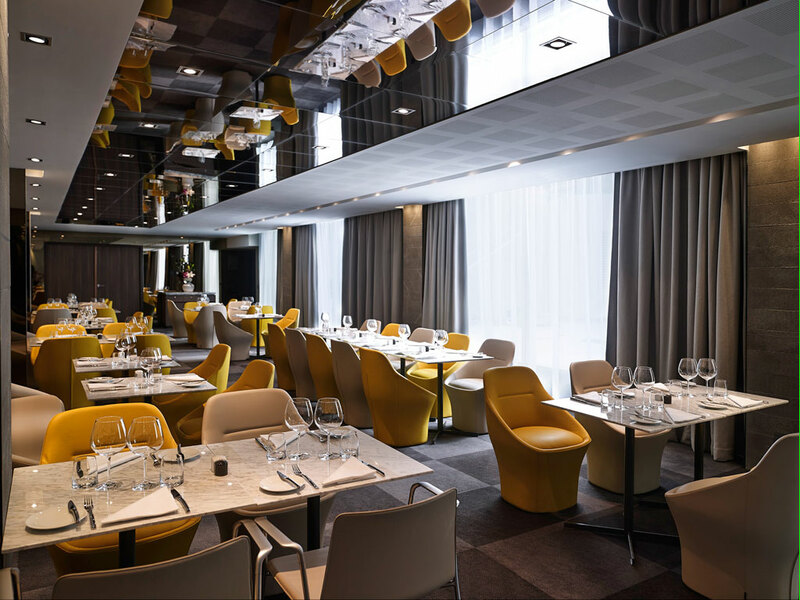 Meetings and other events can also be hosted at this 4 star Paris hotel. Its prestigious location is completed with numerous smaller and larger meeting rooms and a ballroom for meetings, banquets, seminars and more. 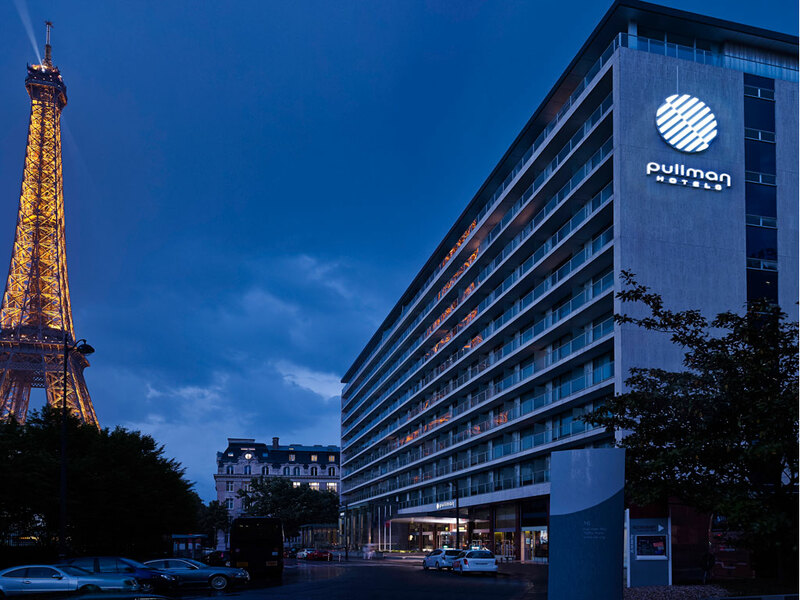 A professional staff is available at Hotel Pullman Paris Eiffel Tower to assist with organization and catering. This hotel is also family friendly. One child under 12 staying in the parents’ room stays and eats free at Hotel Pullman. There are also children’s menus in the restaurant, equipment and activities for the little ones to make your family getaway in Paris even more pleasant. There are many more good hotels in Paris, hotels of all categories, for all budgets. Use the box below to compare the prices of Paris hotels in the neighborhood you prefer and browse the best offers of the market.